Being locked out of your safe is a frustrating incident. Contact Reliable Lock and Safe for Expert Lock and Safe opening service. We are able to open ALL models and makes of safes through a variety of techniques. Our staff carry state of the art Safe opening equipment on board our service vehicles. After opening, most safes or vaults are able be returned to the original condition after a professional opening, with little or no evidence of the breach, as long as the proper methods and techniques are used to open and repair it. This is a very important point to understand and consider because an untrained or under-equipped locksmith will frequently destroy your safe in their efforts to open it. 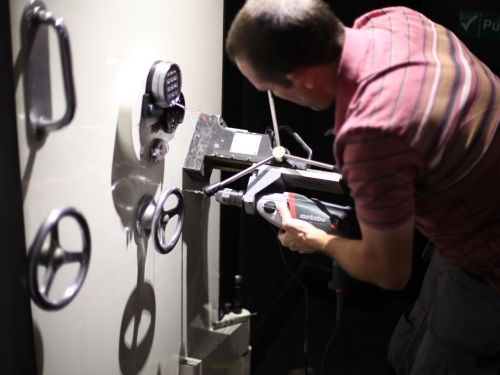 Our staff are highly trained, and have over 60 years’ experience at opening, manipulating and safe cracking.